Direct-to-garment printing is a method that is more of a recent development, coinciding with modern advances in technology. 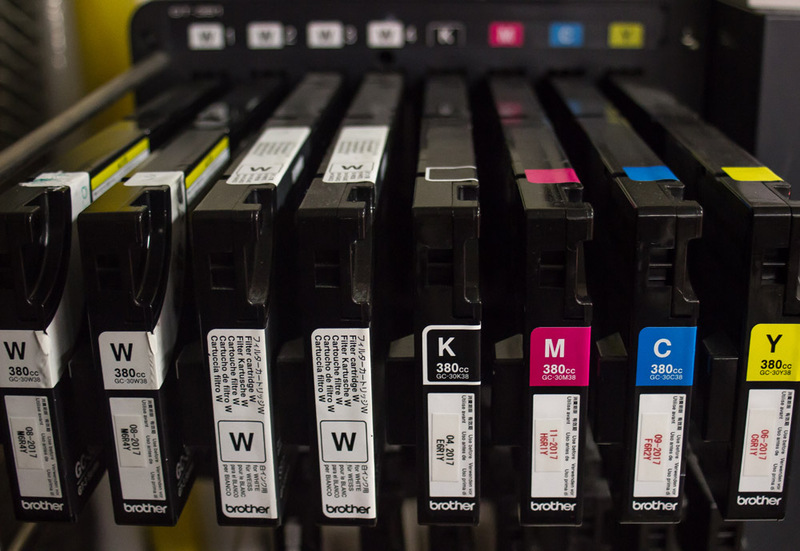 You can think of this method as a color inkjet printer, but for apparel. 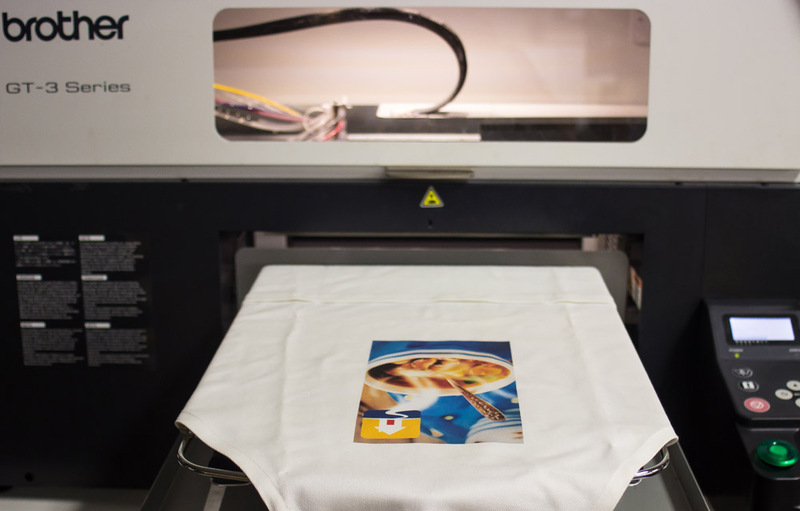 Much like an inkjet printer, direct-to-garment printers are designed to deliver highly detailed images. However, its application goes beyond simple printing, and opens up opportunities for new products and image placement that is often difficult or impossible to pull off with other methods of production. One of the key advantages to this process is speed and convenience. With screen printing, time has to go into separating art, preparing screens, and setting up the press. Direct-to-garments skips these steps, going from digital artwork straight to a finished print. Looking for a sample or unsure of committing to an entire run? This method is perfect for single items or small orders. We can use your artwork to produce products for your projects, or to serve as a sample for potentially larger orders. It’s like having a mockup in your hands.